My Predictions for Private Jet Aviation in 2018. Care to share yours? The amount of data that comes through the TapJets app can easily serve as a crystal ball into the future of our industry. Reflecting on some of the numbers TapJets has seen in 2017, I can say with certainty that it was the biggest year for private aviation in the previous decade, and it is also priming us for a great 2018 and beyond. 1. In 2018 we will see the largest number of older YOM aircrafts leaving private and charter ownership and being up for sale - two to three times more than what was seen in 2017. There was a 28 percent increase in flight requests for specific YOM across all of the sourcing channels. 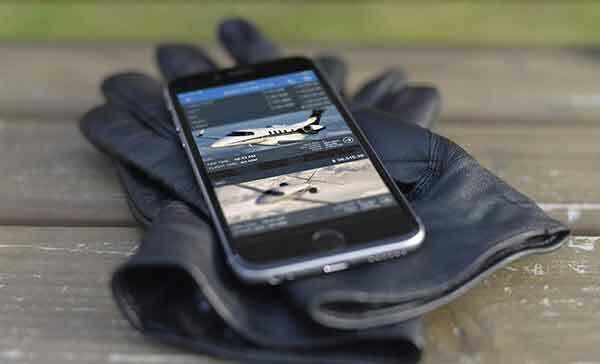 Two out of six operators hinted fleet additions and improvements in their social media. 2. We will see double-digit growth in charter flights, the first one in many years. This one is simple. Last year, TapJets saw an increase of 26 percent of flight request throughout our system. By all measures, the number of flight requests to flight availability ration has shown similar growth. 3. We will see a consolidation of fractional and membership models with larger fleets buying "bargain" priced membership outfits. I believe with a more competitive price structure charter companies will be forced to adapt. As the year progresses, I predict we will see companies with larger fleets begin to acquire or offer membership models, as more bargain-priced membership outfits begin to appear. These are just a few of my thoughts for the new year. What are your predictions for private jet charter in 2018?